Garmin - GPS 20SM Motorola Power Adapter Lets you power your Motorola smartphone on the Garmin GPS 20SM. Garmin - BNC to RCA Adapter for Marine Network Cameras This adapter makes your Garmin Marine Camera compatible between BNC and RCA systems. Garmin - 2.5mm to 3.5mm Jack Adapter for Rino This jack turns a 2.5mm output into a 3.5mm output. Garmin - Large Diameter Rail Mount Adapter for Handlebar Mo The Garmin large diameter rail mount adapter accommodates handlebars from 25mm-32mm in diameter so that you can snugly mount your Garmin handheld GPS unit. For use with optional bike or rail mount accessory. Motorola - AC Power Adapter for XTN Series (Charger Not Inclu A/C power adapter # 53874 for XTN Series Single Unit Charger requires part # 53872 sold separately (see below). Garmin - A/C Adapter for StreetPilot 26xx (Replacement) This Garmin A/C Adapter replaces the one that came with your StreetPilot 2610 2620 2720 or 2730. Plugs into any U.S. standard wall outlet. Garmin - AC Adapter USA 4-Pin (60, 72, 76 Series) No need to burn batteries if you're using your GPS indoors to get familiar with its operations or plan a trip. This adapter plugs into any standard U.S. outlet to provide AC power to your unit. Garmin - Handlebar Bike Mount for Rino 520/530 This Garmin Handlebar Mount lets you securely clip your Rino 520 or Rino 530 onto your bike. Comes with rail mount adapter. Garmin - This Garmin Cigarette Lighter Adapter for 276C allows you to power your chartplotter with your car's cigarette lighter adapeter. Garmin - Cigarette Lighter Adapter (320, 162 and 192 Series This adapter works with the PC interface cable if you're using your GPS unit with a PC where there's no A/C power. Plugs into any standard cigarette lighter receptacle. Motorola - AC Power Adapter for RDX Series (Charger Not Inclu A/C power adapter for RDX Series Single Unit Charger requires part # RLN6175A sold separately (see below). LOWRANCE - GBSA-1 Gimbal Bracket Swivel Adapter This GBSA-1 gimbal bracket swivel adapter attaches to your supplied gimbal mount so that you may pivot your chartplotter or fishfinder in any direction you please. Garmin - AC/DC to Vehicle Power Adapter Turn your vehicle power cable into an AC charger with this adapter. Works with ALL models of nuvi StreetPilot c series zumo and Quest. Garmin - MCX to BNC Adapter Cable How do you get from here to there if your GARMIN GPS has an MCX connector but your GARMIN external antenna has a BNC connector? Bridge the difference with this MCX to BNC adapter. Motorola - AC Power Adapter for DTR Series (Charger Not Inclu A/C power adapter for DTR Series Single Unit Charger requires part # 53962 sold separately (see below). 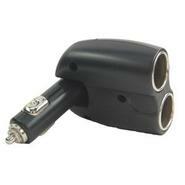 Garmin - Power Cable with Cigarette Lighter Adapter (60, 72 Save a battery's life?buy an adapter. 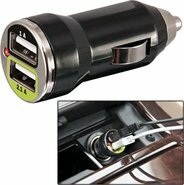 Plugs into any standard cigarette lighter receptacle to power your GPS. Works with Garmin 60 76 72 12XL Series. Garmin - Suction Cup Mount with 12V Adapter for StreetPilot Vehicle suction cup mount with vehicle power cable for Garmin StreetPilots c550 and c530. Includes suction cup with arm unit bracket 12 volt cigarette lighter power cable and adhesive dashboard disk for on-dash mounting. Garmin - Vehicle Charging Clip for Approach S1 & Forerunner 110/210. Charge your device on the go with this 12-volt DC in-vehicle adapter. 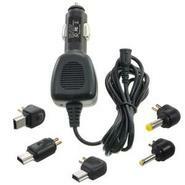 Motorola - Standard Single Unit Charger for XTN Series (Requi Single unit A/C charger for XTN Series. Requires A/C adapter # NNTN4077A sold separately (see below). Motorola - Standard Single Unit Charger for RDX Series (Requi Single unit A/C charger for RDX Series. Requires A/C adapter # RPN4054A sold separately (see below). 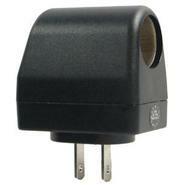 Motorola - Standard Single Unit Charger for DTR Series (Requi Single unit A/C charger for DTR Series. Requires A/C adapter # 53969 sold separately (see below). Magellan - A/C Power Adapter for Maestro & RoadMate 1200/1400 AC Adapter with US plug for Maestro 3200 4200 4300 Series RoadMates 1200 series and RoadMate 1400 series. NOTE: Part # AN0202SWXXX replaces part # 930-0076-001. Garmin - Universal Friction Mount for GPSMAP 76 Series Universal friction mounting adapter for Garmin GPSMAP 76 series. Keeps your unit safe and secure on any level surface. NOTE: Requires use of a unit bracket listed under the Accessories tab. Garmin - Cigarette Lighter Adapter Power Cable (Rino 110/12 Plug your Rino 110 120 or 130 into the cigarette lighter of your car or boat and don't eat up your batteries! Garmin - Cigarette Lighter Adapter Power Cable (eTrex/Geko Save a battery's life ? buy an adapter. Plugs into any standard cigarette lighter receptacle to power your GPS. Garmin - A/C Charger for 276C (Replacement) This Garmin A/C adapter recharges the battery of your Garmin GPSMAP 276C. Garmin - AC Adapter/PC Cable USA 4-Pin (60, 72, 76 Series) This adapter allows you to connect your Garmin GPS unit to AC power (US 110-volt) and to your PC. Features standard 9-pin D connector. Works with Garmin 60 72 76 Series. LOWRANCE - NMEA Network Adapter Cable - Red Female to Blue Fe LOWRANCE NAC-FRD2FBL NMEA NETWORK ADAPTER CABLENMEA network adapter cable. Adapts female red connector to female blue connector. Lets you connect a red LGC-4000 or sensor to a blue T-connector. Garmin - PC Cable with Cigarette Lighter Adapter (60, 72, 7 This cable allows you to make a powerful connection between your GPS and your PC. Create routes and waypoints on your PC and transfer them to your GPS. You can also download map detail from MapSource CD-ROMs to compatible units. Garmin - Suction Cup Mount with 12V Adapter for nuvi 6x0 Vehicle suction cup mount with vehicle power cable for Garmin nuvi 660. Includes suction cup with arm unit bracket 12 volt cigarette lighter power cable and adhesive dashboard disk for on-dash mounting. Garmin - PC Cable with Cigarette Lighter Adapter (eTrex/Gek This cable allows you to make a powerful connection between your GPS and your PC. Create routes and waypoints on your PC and transfer them to your GPS. You can also download map detail from MapSource CD-ROMs to compatible units. Garmin - Replacement AC Adapter Cable with U.S. Plug Adapte Replacement AC adapter to charge and power your GPSMAP 640 or 620. Garmin - PC Cable with Cigarette Lighter Adapter (Rino 110/ Use this combo cable to plug your Rino 110 120 or 130 into your PC and your cigarette lighter at the same time. Garmin - Travel Kit with A/C Charger for iQue 3600/3200 Package includes A/C travel charger Sync cable international plug adapters and carry pouch. If you're going overseas this is a must have. Garmin - Travel Kit with A/C Charger for iQue M3/M4/M5 Travel Kit package includes A/C travel charger Sync cable international plug adapters and carry pouch. Garmin - PC Interface Cable 18-pin (Marine Series) This adapter allows you to connect your GPS unit to AC power (U.S. 110-volt) and to your PC. Features standard 9-pin D connector. Motorola - 2-Hour Rapid Charger Kit for AX Series Recharge your Motorola AX Series radio in just two hours with this package. Includes both charging cradle and A/C adapter. NORCOLD - AC Adapter for NRF Refrigerator/Freezer NORCOLD AC ADAPTER FOR NRF REFRIGERATOR/FREEZER110V AC Power Adapter converts 110V AC to 12V DC. Designed for Norcold Portable Refrigerators. Motorola - Replacement Single Unit Charger Kit for CLP Series Recharge your Motorola CLP Series radio with this package. Includes both charging cradle and A/C adapter. Motorola - 2-Hour Rapid Charger Kit for XTN Series Recharge your Motorola XTN Series radio in just two hours with this package. Includes both charging cradle and A/C adapter. Motorola - 2-Hour Rapid Charger Kit for RDX Series Recharge your Motorola RDX Series radio in just two hours with this package. Includes both charging cradle and A/C adapter. Motorola - Replacement Single Unit Charger Kit for CLS Series Recharge your Motorola CLS Series radio with this package. Includes both charging cradle and A/C adapter. LOWRANCE - SimNet To N2K Adapter Kit LOWRANCE SIMNET TO N2K ADAPTER KITSimNet to N2K Adaptor Kit - Connect Simrad heading sensor (FC40 RC42) toNMEA 2000 network; includes Simnet-to-N2k male adaptor Simnet-2 Joiner T connector.